Lake Ontario: Oswego Sunsets Some of Country's Best? I’ll be honest: When I was told that Oswego was considered by many to have some of the prettiest sunsets in the country, I was skeptical. Really? A town in northwest New York is competing with the likes of the west coast? Of Florida? Hawaii? 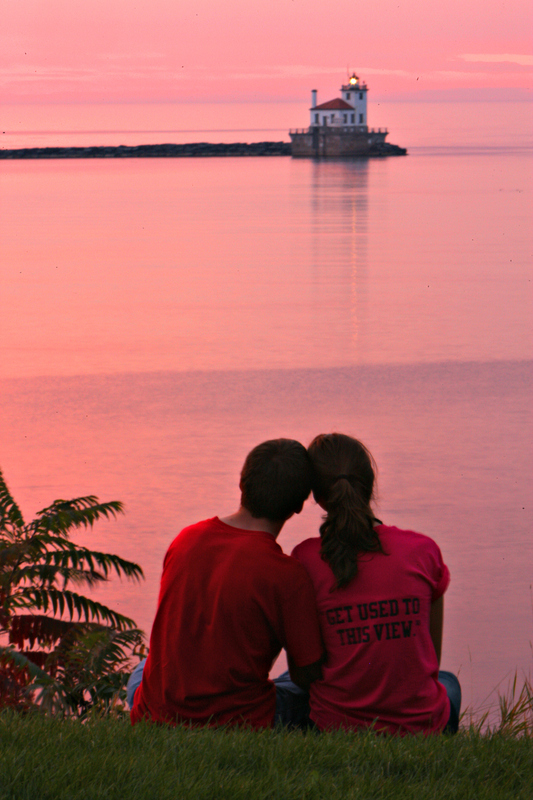 Couple at sunset in Oswego. Credit George Fischer and Seawaytrail.com. I had to do some research. Word on the street was that National Geographic did an article a while back that ranked Oswego right up there with Hong Kong as one of the best places in the world to catch a sunset, but I was unable to confirm that claim. But the more I poked around, the more I realized that there was indeed a fair amount of chatter out there surrounding the sky in the small town on Lake Ontario. 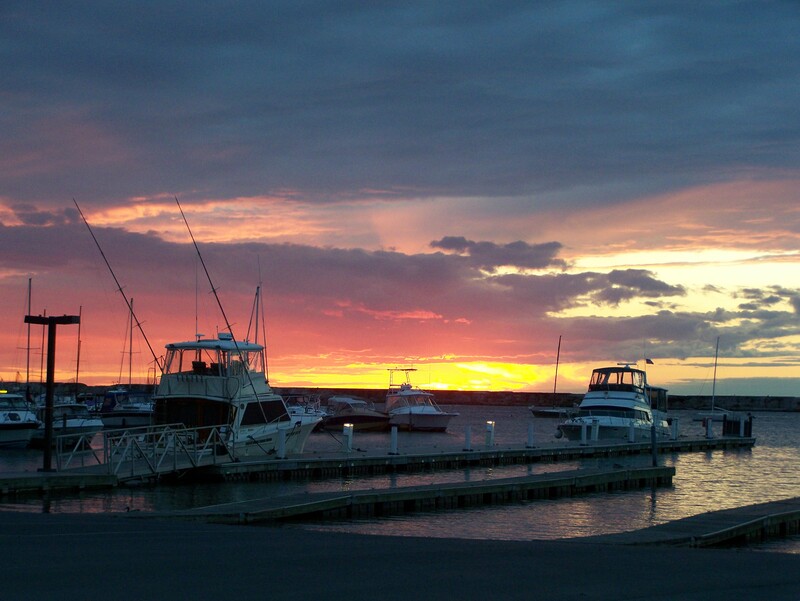 It seems the locals are not jaded in the least – applause-worthy sunsets were #1 on Oswego University’s list of 150 things to love about the area. When I eventually caught a glimpse of one myself, all doubt was quickly washed away and all the rumors I had heard were confirmed. Yesterday I shared a preview photo of the sunset in Oswego, a shot I was able to take from my dinner table along the water. Sometimes the timing simply doesn’t work out, but that’s one of the perks of Internet writing, the ability to gather assets after the fact. I was able to get permission to publish the ones that you’ll find below, and you can also see a boatload more on Facebook. Sunset at Wright's Landing in Oswego. Credit MaryEllen Barbeau. Sunset in Oswego, NY. Credit MaryEllen Barbeau. Map showing the location of Oswego. 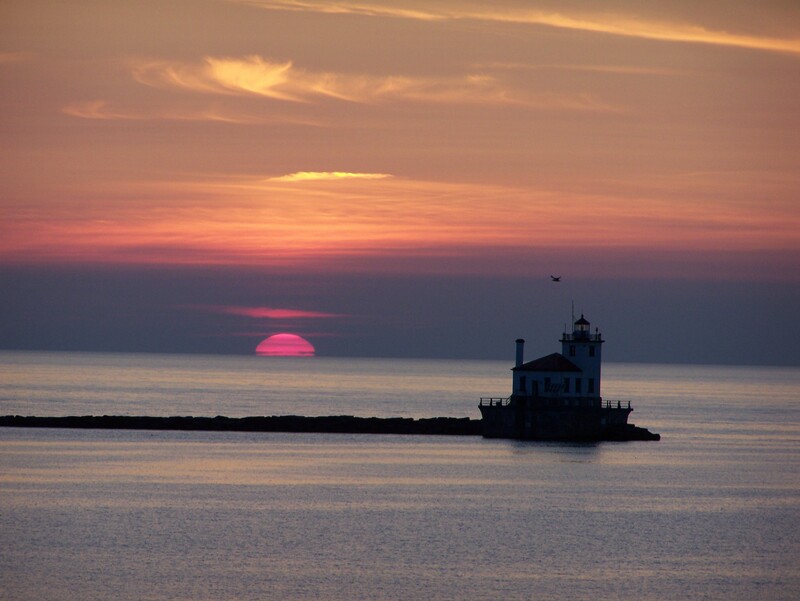 Previous Lake Ontario: Oswego Sunsets Some of Country’s Best?